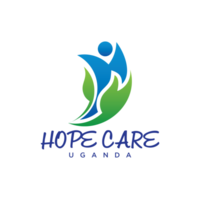 HOPE CARE UGANDA is a non –profit organization providing education and other basic needs to orphans and other vulnerable children and their families in Uganda East Africa. The organization was originally founded as a youth group in 2012 and progressively registered 2014 under the government of Uganda as a non-profit community based organization (CBO). HOPE CARE UGANDA is located nansana town council,kabumbi village nabweru sub county in wakiso district of hoima road 8km from kampala. The common goal of the project is to provide formal primary and secondary education with the intention of eliminating poverty and rescue vulnerable children in need of care and to trace and reunify children with their families. These children are often separated from their families by poverty, HIV /Aids epidemic and child neglect. HOPE CARE UGANDA operates in kindergartens, elementary schools, secondary schools and communities. We make a solemn commitment to the children in our care .we believe EDUCATION is the key to self suffiency. That is why we place such a strong emphasis on educating the children. We help our children reach new heights by inspiring them to develop the desire and capacity break the cycle of poverty and to become the best that they can be .it is our goal to develop future leaders among these children so that one day the can help make their country self-sufficient. HOPE CARE UGANDA‘s focal point is on the children, their families and communities, not on making profit. Importantly, our management system involves families. We encourage them to be actively involved in supporting both hope care Uganda and their families. We believe that forming strong relationships with children and families is vital to every child’s learning and development. HOPE CARE UGANDA provides a safe environment and stimulating, positive experiences that foster all aspects of child development specifically parental love, education and guidance to a better life and future. For the purposes of HOPE CARE UGANDA, a child means any person under the age of 18 years old, unless otherwise stated. Children have and continue to be abused, tortured, mistreated, neglected and abandoned by the people in the community. Children are not treated with respect and dignity that every human being deserves, but instead are subjected to violence, poverty, racism, and the ignorance of the adults. Children do not receive education, proper health and medical care and attention, yet don’t have the right to demand treatment. Children are beaten and abused at home, denied education and abused by other adults. Children are the future leaders of tomorrow, but they are not given a chance to participate in consultations or negotiations of their futures. Their education has been ignored and put last, not first. 1. Hope care Uganda was established for the purposes of direct benefit and development of each child’s full potential in the partnership with the communities and families. 2. Improving the quality of life and poverty eradication within the community. 3. Advocate for children rights. 4. Enroll orphans and vulnerable children in schools. 5. Prevent the spread of HIV/AIDs among the youth. 6. Effectively provide basic needs and health care services to children. 7. Provide a home for orphans and vulnerable children without any parent or guardians.